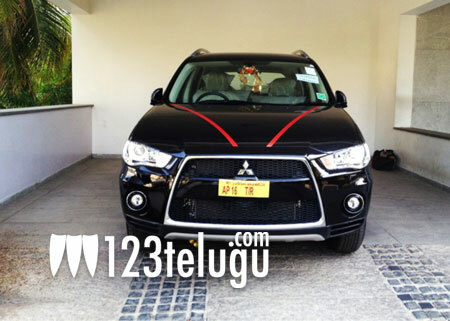 Allu Sirish has bought a new swanky Mitsubishi Outlander. “Bought a Mitsubishi Outlander. My first car on my own, so spl to me 😉 Waiting for Bunny to finish shooting & get home. He shud drive my car first.. :),” Allu Sirish revealed on Twitter. For the record, Allu Arjun had bought a BMW X6, Pawan Kalyan owns a Mercedes G55 and Chiranjeevi has a Rolls Royce Phantom. Looks like the entire family is quite fond of high end cars. Meanwhile, Allu Sirish is gearing up for his debut in films. He’ll soon start shooting for Radhamohan’s Gauravam. Amala Paul will play the lead role in the film and Prakash Raj is going to produce it on Duet Movies banner.